Three scholarships are awarded at each level (1st year and 2nd year). The awards will be $2500, $1500, and $1000 for first, second, and third places, respectively. 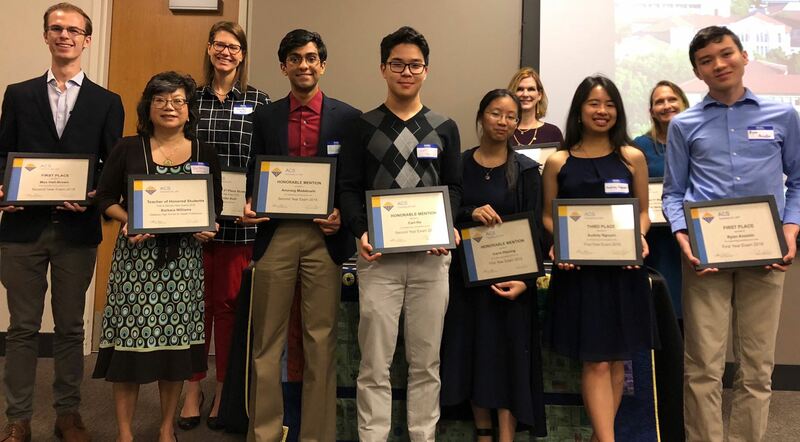 Scholarship awards and certificates for honorable mention will be presented at the Awards Banquet of the American Chemical Society-Greater Houston Section (ACS-GHS) in the Fall. Students registering for the 1st year exam must be currently enrolled in first year chemistry. Students registering for the 2nd year exam should have completed the first-year chemistry course and be enrolled in AP Chemistry or 2nd year of IB Chemistry.